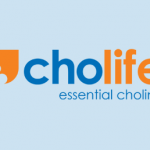 Azingro® is very proud to produce Cholife®, our choline based product portfolio. Cholife® is available under the form of choline bitartrate and choline dihydrogen citrate, each of which has advantages to different applications. Choline is required for a good memory and cognitive function. Choline is a precursor of acetylcholine, a neurotransmitter that is involved in nerve and memory functions. 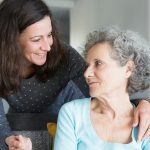 These functions are required in all life stages, especially for elderly people. Choline is an important building block for cell structure. In order to ensure excellent fetal and child brain development, choline is indispensable in baby food and essential for pregnant and lactating women. Choline ensures good heart health as it helps to reduce the levels of homocysteine. Elevated blood levels of homocysteine are linked to an increased risk of cardiovascular disease. Choline is important for the communication between muscle fibers within the nervoussystem, which is important during physical activities. Choline fulfills a necessary function in the removal of excessive lipids out of the liver and is therefore needed for a healthy liver function and normal lipid metabolism. Both the European Food Safety Authority (EFSA) and the Food & Drug Administration (US FDA) approved different health claims for choline. These claims can be used on food labels, to ensure a good understanding of the health benefits of choline by the customer. According to recent studies, over 90% of the population does not meet the recommended intake for choline. * Even when the consumption of multivitamins is considered, people do not get enough choline, because most multivitamins do not contain choline! ** Choline is found in a number of food products, mostly animal derived-products, such as eggs and liver. The consumption of these products is in decline due to their high cholesterol level and more conscious eating of consumers. As Dogs cannot store choline in their body, choline must be present in dog’s nutrition to make sure he eats his daily dosis of choline. Deficiency may lead to the same problems as choline deficiency for humans such as cognitive decline, fat deposition in the liver and increased homocysteine levels. To avoid these problems, there is a critical need to increase awareness and intake of choline. *2016, Wallace TC, Assessment of total choline intakes in the United States. **2014, Wallace TC, Multivitamin/mineral supplement contribution to micronutrient intakes in the US.